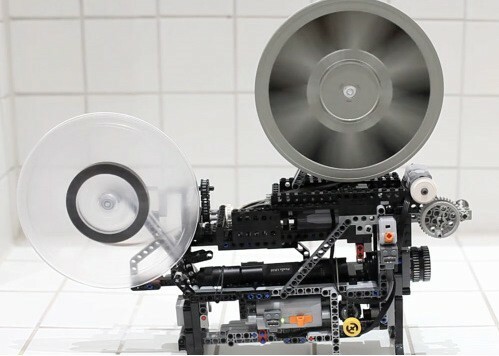 Fiedemann Wachsmuth and Kalle used LEGO Technic elements to build a fully working and old fashion Super 8 film projector [1, 2]. The projector uses just two engines and is fully featured with automatic celluloid feeding, 24 fps, fast rewind and 120m reels. A decent LED flashlight makes it pretty amazingly bright. The only non-LEGO parts are the lens, the reel spindles and the lamp. Turn up your volume before you hit the video because the rattliness of this thing is all part of the love. then that evening, I visited my parents.. and ended up bringing out their old Super8 projector, and watching some film they recorded from before I was born (circa 1971)..
Last night I sent my Dad the link to the video, and he was very impressed... "It even sounds like the real thing!" he commented!